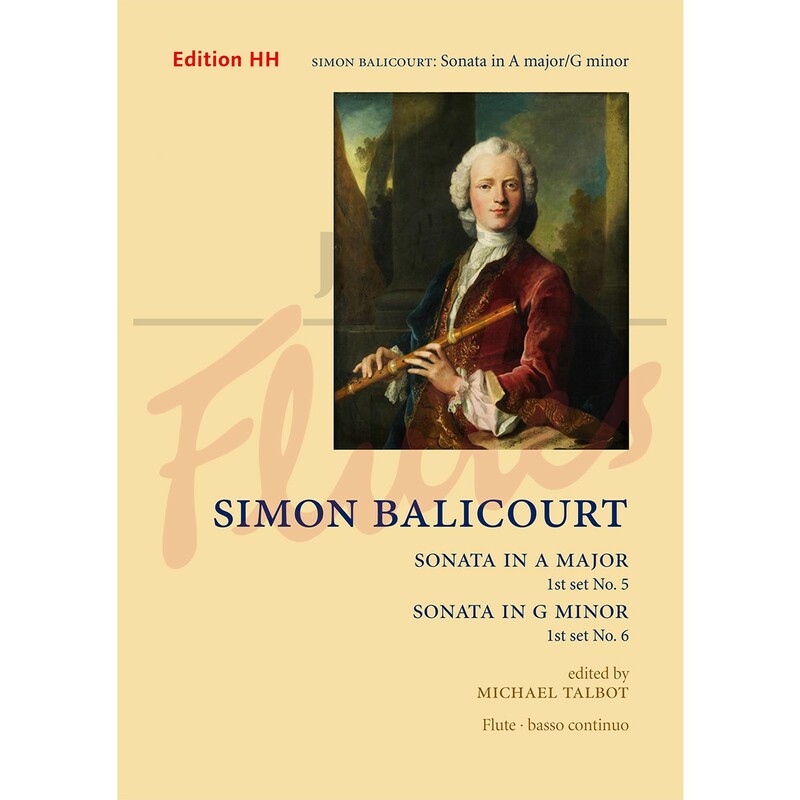 Simon Balicourt (1706–1757), during a London career that lasted from 1735 (the year he arrived from the Continent) until his death, was a leading flautist and flute composer. He left two sets of flute sonatas, published in 1750 and 1760 respectively, each containing eight beautifully polished and musically imaginative works that draw equally on his German background and on the French-influenced tradition of flute-playing in his adoptive country. Suitable for both educational use and concert performance, these pieces – now appearing for the first time in a modern critical edition – deserve a place at the forefront of the late baroque repertory for transverse flute. 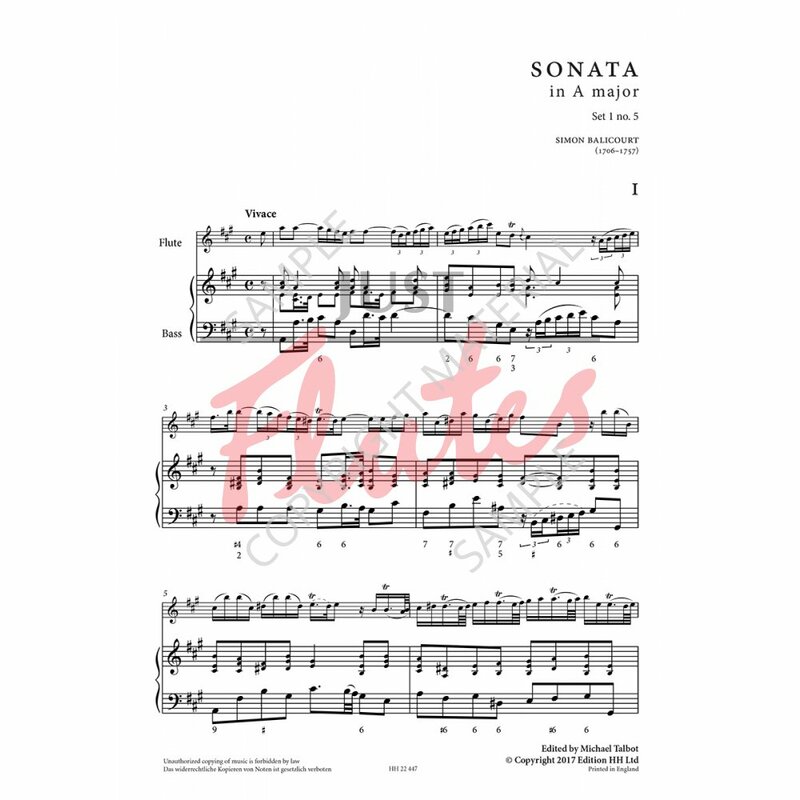 Sonata 5, in A major, is the only work in the set to feature the ‘classic’ three-movement design in its symmetrical Fast–Slow–Fast configuration. Its opening Vivace makes considerable demands on the flautist’s technique, and the accompanist, too, has some lively interventions. A short Andante, in A minor, recaptures the style of the slow movement of an operatic sinfonia. High spirits return in the concluding Allegro comodo, which manages to be frothy and substantial at the same time. 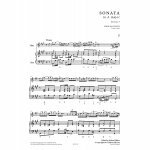 Sonata 6 is in G minor, traditionally a key for serious utterances. Its muscular opening Largo packs in a wealth of interesting rhythmic designs and articulations for the flautist. The influence of violinistic style is clearly seen in the Allegro that follows. The finale is composite: its ‘frame’ is an Affettuoso in minuet rhythm, but its ‘core’ is a Poco Allegro in G major with the character of a second minuet. Despite its outward charm, this movement retains much of the heft of the first two movements.